A week ago EA Sports removed Kurt Warner and other NFL players who retired at the end of the season from the final Madden roster update. Pressure from the game's community and a sports gaming website has restored them. 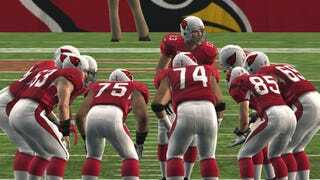 But Madden NFL 10 is supposed to represent the rosters of the 2009-2010 season, and Arizona Cardinals fans were left without the starting quarterback who led their team into the second round of the playoffs. They were stuck with Matt Leinart, who appeared in eight games and completed 51 passes, none for touchdowns. Naturally, you can imagine their unhappiness. Madden NFL lead producer Phil Frazier said the team heard the outcry, and gave a statement to Pasta Padre saying that "overwhelming response" via a poll on that site (and also EA Sports' own forums) has led the team to reverse itself. An update, which is expected to move by the weekend, will add back all the retired players who had been removed. This is the right thing to do. While fans could play with the roster that shipped with the game, it was accurate as of August and if anything was even less realistic than one absent the Cardinals' starting quarterback (It also lacked Brett Favre). And that's for singleplayer or offline play; online multiplayer requires the latest roster. So kudos to EA for fixing the problem, and to the community and Pasta Padre for keeping after the issue.